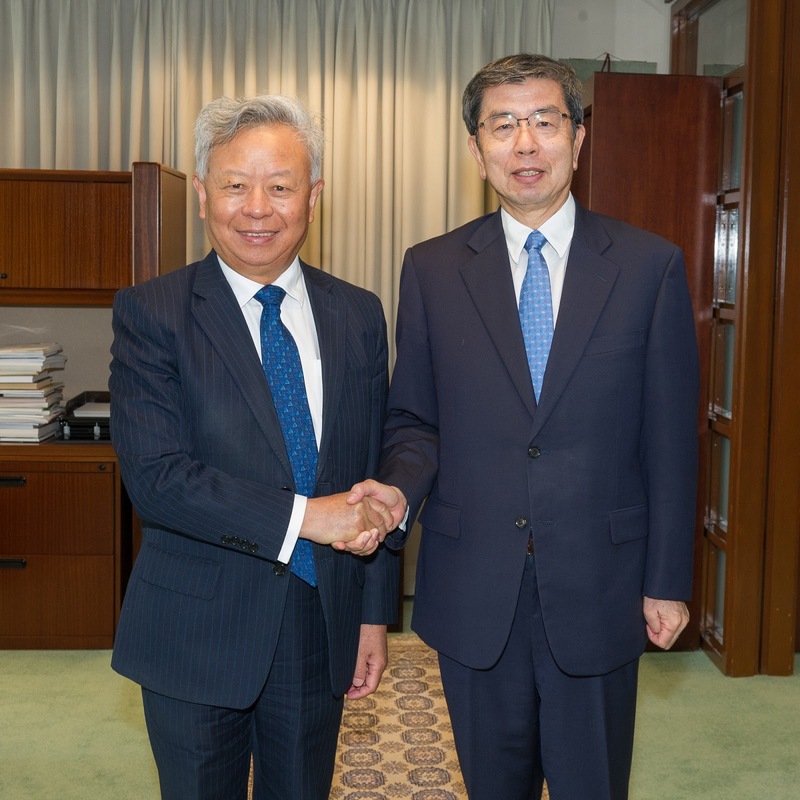 Asian Development Bank (ADB) President Mr. Takehiko Nakao and Asian Infrastructure Investment Bank (AIIB) President Mr. Jin Liqun met today in ADB’s headquarters and discussed a range of strategic and operational issues. Mr. Nakao and Mr. Jin signed the Co financing Framework Agreement For Sovereign Operations that will guide overall co financing arrangements between the two institutions going forward, including regular meetings to discuss co financing matters. So far, ADB and AIIB have co financed 5 projects, comprising 4 sovereign loans in Bangladesh, Georgia, India, and Pakistan, and one collaborative transaction in Myanmar through ADB’s Private Sector Operations Department. Further co financing for sovereign and non sovereign projects is being actively pursued. ADB and AIIB signed the Memorandum of Understanding for Strengthening Cooperation in May 2016. ADB has shared with AIIB its experiences and practices regarding environmental and social safeguards, procurement, treasury operations, institutional issues, and governance. Mr. Jin’s delegation also met and had close discussions with ADB vice presidents and senior staff from ADB’s Office of Cofinancing Operations; Strategy, Policy, and Review Department; and regional departments.